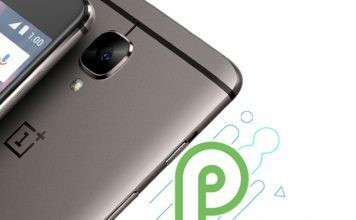 Note: I tested the following method on my Google Pixel 2 XL running Android P Developer Preview 2. 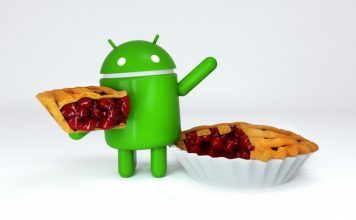 The method should remain the same for all other devices running Android P Developer Preview 2. 1. 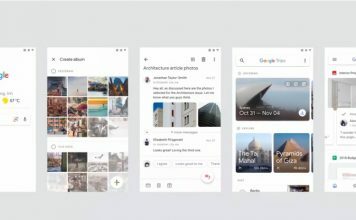 First off, swipe up from the pill icon (in gesture navigation) or tap on the recent apps icon (on standard navigation bar) to enter the Multitasking view. 2. Next up, tap on the App Icon you want to use in split screen. For instance, I’ll be using Chrome in split-screen mode. Upon tapping on the app icon, a new list of options will show up. From here, select “Split screen“. 3. Now, tap on the other app you’d like to use it in split screen with. For instance, I’ll be using Gmail now. 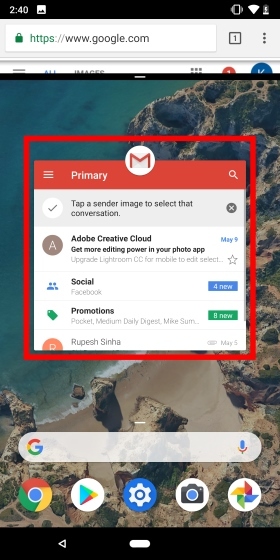 So I just need to tap on Gmail’s app window. 4. And that’s it. Both the apps will now be in Split screen mode. 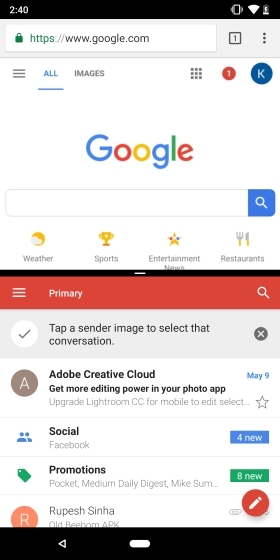 Well, as opposed to the previous manner of dragging an app to the top of your screen from the recents screen, with Android P you get a simpler menu to open apps in split screen. While I personally preferred the previous method, we have mixed opinions regarding this in our office. But what about you? 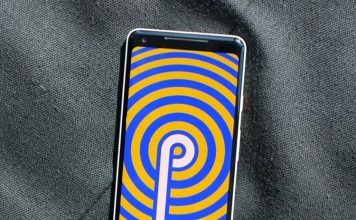 Do you like the new split screen option introduced with Android P? Let us know in the comments down below. 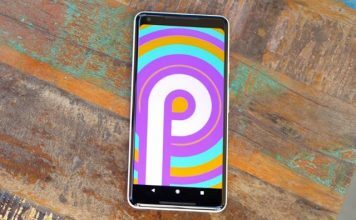 Android P Has A Name: Meet Android 9 Pie!